This 16-page workbook is designed to be used in a six-week discussion group. The study explores 1 Corinthians 16:13-14, as well as the spiritual disciplines. Each week includes a reading passage, memory verse, discussion questions, space for taking notes and prayer requests, and a Rock Solid Challenge for each week. Get five to eight men and use this to launch a small group! Click here to view a sample session. Notes for leaders: This resource is perfect for Challenge 5: Disciplines of the Journey to Biblical Manhood. 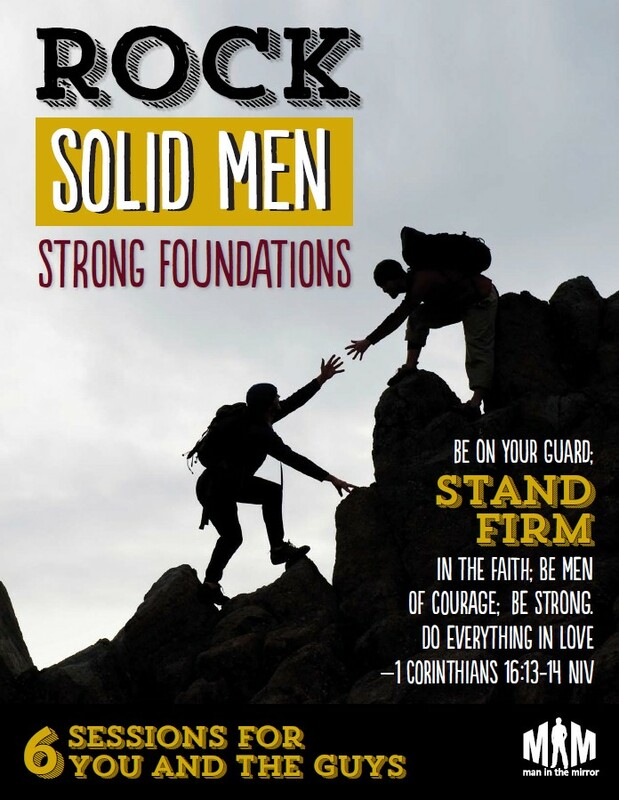 Also, if you’re interested in using an event to kick off small groups with this workbook, check out our Rock Solid Men event.